Single play and season sponsorships are available on an annual basis.  Levels of sponsorships range from $5,000 for one play to $25,000 for an entire season of seven to eight plays. Benefits include the placement of logos on all applicable communication vehicles of the Coterie per contribution level including website, printed materials (brochures, posters, postcards) all social media outlets, lobby signage, advertising and press. In addition, the Coterie is able to fashion a package to suit the needs of any sponsorship, borrowing on our unique audience of youth and family audiences, including an additional performance for sponsor employees, clients, or favorite charitable organization (some limitations based on contribution level), special dress rehearsal performances for invited guests, and post-performance receptions with the cast. Contact Shannon King, Development Director, sking@coterietheatre.org, for further information. The Dramatic Health Education Project: STDs/HIV, is a education/prevention program targeting teens ages 13-18 in partnership with UMKC School of Medicine and the KU School of Nursing who provide critical medical content and presenter training on STDs and HIV. Midwest Center for Holocaust Education (MCHE) has been a frequent partner in developing educational material for schools through The Coterie’s EduBlog as well as distributing information about MCHE to all schools attending performances, most recently for Hana's Suitcase. The Coterie piloted a partnership with the Kansas City Art Institute’s (KCAI) MICRO student advertising agency to design promotional show posters and marketing brochures. This collaboration gives KCAI students the opportunity to hone their conceptualization, design, and illustration skills while working with a professional theatre; simultaneously giving The Coterie high quality concepts to market shows. AIGA-KC, the professional association for design, recognized the show materials for Tomás and the Library Lady at their 2015 Exhibition and Gala.